No one wants to think about death — but ignoring the possibility doesn’t change the fact that you still need to prepare for the worst. A big part of this planning process is buying a life insurance policy. Unfortunately, there are no easy answers. In fact, my wife and I have bought and re-bought new life insurance policies several times in the past 5-10 years as we tried to get it right. The real challenge for us has been that the “right” answer has been a bit of a moving target. As our income has increased and our responsibilities have grown, we’ve outgrown our coverage. Given our past experiences, I thought I take some time to share what we’ve learned. Note that I’m talking specifically about term life insurance policies here. I’m a big proponent of the view that you should keep your insurance and investment needs separate — in other words, buy term and invest the difference! Depending on where you’re at in life, it’s possible that you don’t need life insurance at all. For example, if you’re single and have no dependents, you might be able to get away without buying a policy (though it might be a good idea to have enough to cover your funeral expenses). But if others depend on you for your income, then you’ll likely want at least enough coverage to replace your earning potential, at least temporarily. Related: When Should Millennials Buy Life Insurance? If you poke around online, you’ll find a number of websites that claim that the ‘best’ approach to determining your life insurance needs is to simply buy a policy that corresponds to a certain multiple of your annual salary. The problem here is determining the correct multiple. Should you buy a policy for 8x your annual salary? 10x? Why not 12-15x? In the end, this really boils down to what you want your life insurance to do. If you’d want your life insurance policy to provide support for your family for an extended period, you’ll obviously need more. If you’re comfortable with your insurance policy being a short-term stopgap, you can get away with less. An alternative approach to buying an arbitrary multiple of your salary would be to use an online life insurance calculator. In this case, you enter data on anticipated one-time expenses, ongoing living expenses, timeframe, and so on. Then, the calculator will spit out an answer. Another factor to consider when determining how much life insurance to buy is whether or not you have coverage from work (and how much). In many cases, as valuable as this sort of coverage can be, it’s important to not become too dependent on it. After all, if you lose your job, you’ll also lose your life insurance coverage. What about a non-working spouse? Another important thing to consider is whether or not you have a non-working spouse. On the one hand, you’ll have to decide whether or not to purchase coverage for them (we did, more below). On the other hand, you also have to worry about your spouse incurring expenses that aren’t directly reflected in your salary. Learn More: How Much Life Insurance Does a Stay-At-Home Parent Need? Perhaps the most troublesome point in this context is health insurance. In our case, we have great health insurance coverage. Unfortunately, it’s tied to my job. Since my wife stays home with the kids, and since we’d want her to continue doing so at least for awhile, we need to plan for private health insurance. Are you relatively early along in your career path? Do you plan on expanding your family? Do you anticipate any other major changes in the future? If so, then it’s likely that your life insurance needs will change (perhaps dramatically) in the years ahead. There are two main ways for dealing with these sorts of things. One is to try and project your needs and size your life insurance policy accordingly. The other is to buy the right policy for today, and then simply replace it at some point in the future. Both of these approaches have their downsides. Overbuying now means that you’ll spend more than necessary in the short term. However, if you wait to buy more coverage, you run the risk that you’ll fall ill in the interim, and your rates will increase dramatically. 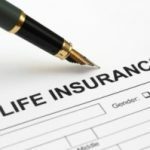 In the end, determining your life insurance needs is a very personal matter, and broad rules of thumb are unlikely to provide you with the right answer. This last time around, my wife and I sat down and outlined exactly what it is that we want from our life insurance policies if something happened to one of us. In short, we’d both want for our family’s lifestyle to change as little as possible. We have four young kids, and my wife stays home with them during the day. If she were to pass away, we’d need to replace her efforts at home with someone to watch the kids while I’m at work, help around the house, etc. Thus, even though she doesn’t generate any outside income, she provides significant value to the family and we need for her to be insured. Likewise, if I were to die, we wouldn’t want for her to suddenly have to go back to work. Therefore, we’d need to completely replace my income for the foreseeable future. We’d also need for the payout to be large enough to cover new expenses like private health insurance since our health insurance is currently tied to my job. 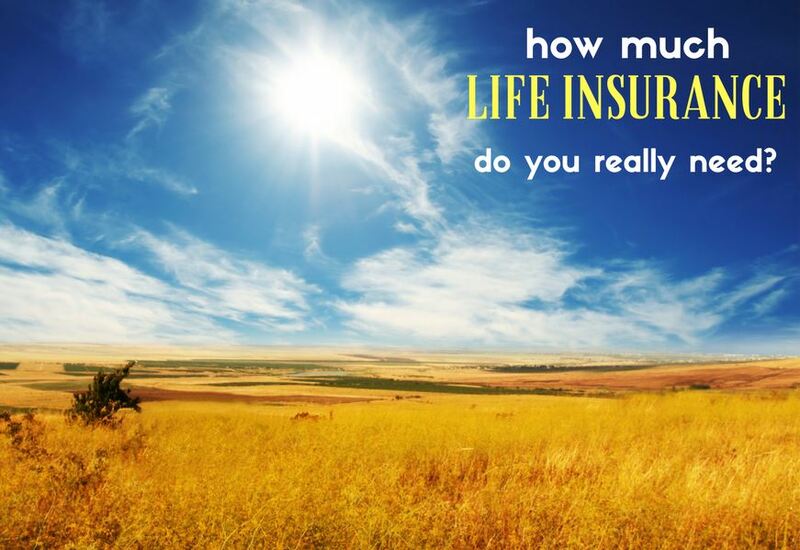 How much life insurance do we have? In the end, we bought a pair of twenty year term life insurance policies to cover us. We selected twenty years because that roughly corresponds to the time at which our kids will be out of the house and completely on their own. At that point, our day-to-day responsibilities, as well as our need for life insurance coverage, will drop off dramatically. In terms of amounts, my policy is worth roughly 20x the income from my day job. That might sound like a lot, but I also make a decent amount of self-employment income, so it’s a much smaller multiple of my total annual income. On top of this, I also have a limited amount of coverage — 3x my annual salary — through my day job. The nice thing about the employer coverage is that it rises with my salary, such that our total coverage will grow slightly over time. In my wife’s case, we bought a smaller policy, corresponding to roughly one-third of my coverage. As noted above, it’s important for us to have coverage for her, as we’d want to maintain a very similar way of life for our family even if one of us were out of the picture. We’d need to hire someone to help with the kids, help keep the house in order, etc. However, since my wife doesn’t currently generate any outside income, we can get away with less coverage for her. Deciding how much life insurance you (or your spouse) need is a very individual process. 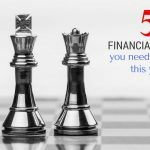 But thinking about what you want your insurance policy to be able to provide, and the expenses you’d need to be able to cover, is a great starting point. In my 30 years in the life insurance business I have found that everyone’s needs are different and everyone is in different stages of life. Many people assume you just buy life insurance whenever you are ready to get it. But, health is of course one of the main focal points when insurers evaluate coverage. Perhaps you are not planning to marry until later in life 30’s or 40’s and have a family, start a business, etc. As we get older more health problems seem to start. It could be wise when you are younger and usually the healthiest to go ahead and lock in life insurance rates even if you are single but have plans for a family later on. It is also wise to make sure you have a conversion option with your term policy that allows you to continue some coverage without worry of any pre-existing medical conditions. Too many things change in life. I have seen many people buy 10,15 or 20 year term policies who still want/need coverage after the initial term period has expired. In the meantime, their health has changed due to diabetes, cancer, heart disease etc. I also see people retire/get let go at 65 and lose their life insurance at work which sometimes is all they have. They still may have a mortgage, kids in college or perhaps just need final expense coverage or leave a legacy for their family, church or charity. Long term planning is crucial, but very important to remember that as we get older changes in our health do happen and to plan accordingly. I’m in my mid 30’s and also bought a term life insurance. I’ve learned Term Life is the most cost effective options out there. If you are going to buy term life insurance, just make sure you buy it if you need it. If you buy a 20 year term policy when you’re healthy and in your 20’s, it’s pretty much throwing money away. Make sure you learn about the timing of life insurance policy purchases in order to make a more informed decision. The amount of life insurance coverage you get should also be based projected expenses, not just current income. For example ensuring that children will have money for college. A more exact approach to determining need than the 10 to 12 times income rule of thumb is to use one of the online life insurance calculators. I am a retired teacher with a pension of about %50,000 annually (get COL increases) and Soc. Sec. of about $200 per month. My wife is retired and not old enough for Soc. Sec. yet. We are debt free, and our children are raised. If I die my wife gets 1/2 my pension. We have more than enough liquid cash to pay funeral expenses for each of us. How much insurance would be appropriate for me? Term or Whole Life? One way I like to look at it, is, how much of a readjustment fund the surviving spouse would require? 1 year’s income, 2, 5? Add that up, along with any outstanding mortgage and other debts, and that is probably a safe number for most people. This formula is simple to put together, simple to understand and I’ve never had anyone challenge it. Plug in the numbers for your own situation and see what you think. Life insurance should not be a lottery win. I don’t know why the logic behind life insurance is to provide an entire lifetime of income, college, etc. for those left behind. Actually, I do know. Because that is how it has been marketed for years. The whole 10x your annual income nonsense is based on the idea that your loved one can invest that balance and draw on it for the remainder of his or her lifetime. Rather than being a lifetime of income, life insurance should cover necessary expenses, including your burial, and provide coverage for a period of time (variable depending on your age, dependents, and needs) for a transition to life without you. Check out the book “Die Broke” for a nice rebuttal of the general way of thinking about a few things, including life insurance. Hi! The last 21 years I’ve been a WAHM I guess, but not working full time. I do medical transcription and am working more these days in an effort to expedite my husband’s retirement. I probably should find a real job! But I don’t think we need life insurance anymore, since we have a positive net worth that can certainly cover our modest funeral plans with something left for the survivors. Do you think we do? We have term and may keep paying till the 15 or 20 year level is up… need to discuss with the husband again. 1) SAHMs should be insured for the EXACT reasons you stated! SAHMs are very very important to raising of a child and the “value” should be adequatly compensated for. It seems like you have been out of work for 17 or 18 years? Hubby bought a 20 year term to cover the youngest child leaving teenage years. Think you can go back to work, being out of work so long, and earn enough to keep up the lifestyle you deserve? Well, for heaven’s sake, maybe if Kelly’s husband dies at year 14 her kid can go to a junior college, work and transfer to and graduate from a nice state school with no debt!! Our life insurance lines up pretty much with the other couples that include a SAHM but I think the insurance on me, the wife, is a little higher. Probably not as important anymore as our baby graduates high school this year – but keep in mind it is not cheap to find someone capable of watching your kids at home when young as well as driving them around after school and etc. You don’t want them to be stuck in day care every day till 6 with no opportunities to play baseball at the rec or take piano lessons, do you? Love this post, btw! Heck – I love the whole blog! Possibly – a simple spreadsheet could be useful to answer her particular situation. My Journey: I think that Kelly might have been talking about enjoying the fruits of compounding in their investment accounts. If “hubby” doesn’t die for 14 years, then they have 14 mores year of earning, saving, investing, and compounding. At that point, they’ll have a much larger financial cushion, and will be less reliant on life insurance. But… I could be wrong. That’s just how I interpreted it. What happens if “hubby” dies in 14 years? THERE IS NO COMPOUNDING. Child #1 will be 17/18 and college will start, at 5% inflation what will college cost? Probably most of that policy just to send the kid to college. What if hubby or Kelly becomes uninsurable during this time, which often happens? What if someone gets injured and can’t pay premiums, is there Waiver of Premium? Just raising some points that most people don’t think about…Everyone tries to pay as little as possible when I think this number should be the base of your protection pyramid (or ladder lol) its better to overcompensate a grieving family than underinsure. Kristy: I agree with you that a life insurance policy can make sense for single people when it comes to final arrangements, etc. This is why I said you may not need coverage, rather than using stronger language. Good point (and also raised by others), though, so I’ll add it. As for your final point regarding credit protection policies on loans, I disagree. These sorts of things are typically wildly overpriced. You can get a much better deal by simply figuring your debt into the amount of life insurance coverage that you need. Hmm, I don’t necessarily agree with all of your points here. I think everyone needs some sort of life insurance policy, regardless of whether or not they are single. Should a single person’s grieving family also have to figure out a way to bury them? I don’t think so. I think a small policy for those purposes is a good idea, and sometimes you can get good policies for fairly cheap. I myself am single and have a life insurance policy for just such a reason. Now, if you’re married and have a family, there’s no question as to whether or not you need life insurance. But, life insurance is meant to replace income, so how much you need is rather subjective. In the event that you have no debt to speak of, you may need a little less. In the event that you have a lot of debt, it’s a good idea to have more. Here’s an example that we share with people at work, you can also find similar examples at http://www.cunamutual.com. In 2004, the average amount of life insurance coverage was $146,300. Let’s assume our example family has a mortgage balance of $31,000 (low, but you can scale it to your situation), a new car loan of $16,000, a credit card balance of $2,000, and we’ll assume the funeral costs to be about $6,000. That’s a total of $55,000. Now, in most cases, families tend to pay off their debts from the life insurance policy, thinking it will make things easier for them. So, based on that, paying off the debt and the funeral expenses would leave our example family with $91,300. But remember, life insurance is supposed to replace income, so let’s assume this household was making and living off of the national average of $32,000 a year. That’s a little less then three years worth of salary, assuming no investments. And, can you guarantee that if it is invested it will hold it’s value? Certainly not. So, life insurance is important, especially if it’s replacing income to take care of your family. But, my point is, oftentimes people need more then they think – though life insurance can and should be supplemented with credit protection policies on loans when possible. Take the age of your youngest child and subtract from 21. Then multiply the result by your annual income– that tells you how much you need. Thanks for making sure to include the “you don’t need life insurance” possibility. It saddened me during my days as a financial advisor to see how many unmarried people with no kids had been sold life insurance policies just because they didn’t know any better. Excellent point, Joe. I can’t believe I left that out! Don’t forget Social Security Survivor benefits when calculating your insurance needs. Check your annual Social Security statement to see an estimate of your benefit. This benefit might be more than you think. I actually sold life insurance in my previous job and I always thought the most important part of the process was the face amount people bought. I used the Human Life Value approach to start the conversation, as most people seemed to under-estimate their own value. If people simply take a step-by-step approach to what they hope to accomplish with the death benefit, the number usually works itself out. I especially like your point about factoring in the cost of health insurance benefits, many people tend to forget that. In my line of business so many people put off life insurance purchases because they are afraid of doing something wrong. Take the plunge and get something in place. Term insurance is great because you are only committing to next month’s premium. If you realize you made a mistake then just reapply for something else. No surrender charges and no investment tie ins. Your story and solution almost exactly parallels mine. We both have 20 year term policies, mine is about 3 times larger than my wife’s, who stays at home with the kids. If something happens to me she can continue to stay home, pay for health care, and save for retirement until she can return to work after the kids get older. If something happens to her I have money to pay for childcare and housekeeping. Neither of us will win the lottery, but our lifestyles will hopefully remain the same. I always recommend treating the free coverage you get from work as a bonus and not to count on it. Usually the coverage is not portable if you leave the company and I’ve heard horror stories of companies forgetting to pay the premiums to the insurance company. Good tips! The only thing I would add is that if you are a single who is out of your parent’s house and working full time, consider who would be responsible for your final expenses should you die unexpectedly. I was an insurance agent for a brief period of time and I encountered a couple in their mid-50s who almost went bankrupt when their 24 year old daughter was injured in a car accident and died later. They didn’t have the cash to pay for her medical bills and funeral and it did a lot of damage to them financially in addition to the tremendous emotional strain. I love how you address so many common life insurance questions. I don’t know why people panic about how much to get, just make sure you have some if you need it, some is better than none! Like you my hubby has coverage through work (5X his salary) and we added another 10X his salary through another policy. We went with a 15 year policy since our youngest will be 18 at that point, and in that amount of time we should be enjoying the fruit of our compound interest. I am a SAHM too, and have about 6x his yearly salary. Both policies would offer us the ability to pay for funeral expenses, and give us years of a safety net. Super important while the kids are young. Do you have a will? That’s next on our list. We have a basic one, but are going the lawyer route this time. Good read! I’ve been struggling with this same issue. I think we will settle on getting enough to pay off debt, fully fund college for my 1 year old daughter, and pay for funeral/burial. How much “extra” to get is just so hard to find a balance with.